Beirut (AFP) – A senior US Treasury official met Monday in Lebanon with President Michel Aoun on a visit that comes after Washington announced a probe into Hezbollah “narcoterrorism”. The US Justice Department said on January 11 it was creating a task force targeting the powerful Lebanese Shiite movement that the United States considers a terrorist group. Hezbollah, which is represented in the government and parliament, has been a key player in the war that has ravaged neighbouring Syria since 2011, fighting alongside regime forces against rebels and jihadists. US assistant secretary for terrorist financing Marshall Billingslea met Aoun and Prime Minister Saad Hariri on Monday. 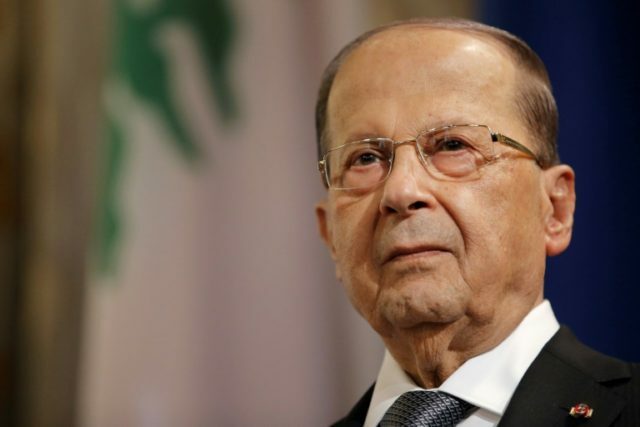 “Lebanon is an active participant in global efforts to fight the financing of terrorism and money laundering,” Aoun said in a statement released by the presidency. “Lebanese security services are vigilant in the pursuit of terror cells and the fight against drug trafficking,” he was quoted as saying. The US Congress adopted a law in 2015 for sanctions against banks that knowingly finance Hezbollah, an arch-rival of US ally Israel. Hezbollah chief Hassan Nasrallah on Friday denied his movement was engaged in drug trafficking to finance itself. “These are unfair accusations that are not based on any fact, that are not true,” he said.